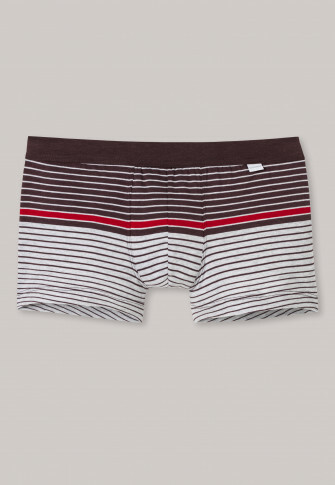 These striped men's trunks win you over with their maximum comfort. A fine striped pattern in reddish brown, gray and red gives these trunks a masculine look that feels comfortably soft on the skin in single jersey and with the soft waistband. 10% elastane ensures a perfect fit and shape stability. Fashionable, quality underpants for men who appreciate comfortable daywear in the usual best SCHIESSER quality.